Last Updated: April 5, 2017 | E.V.O.O.A. 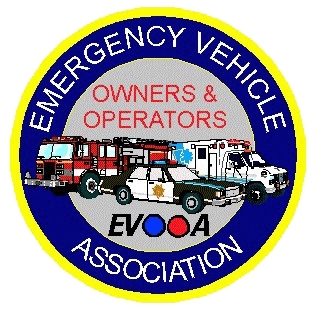 Since 1996, the Emergency Vehicle Owners & Operators Association has been a leader in the vintage emergency vehicle hobby. Its format, shows, logo, and philosophy has been copied by a variety of clubs and associations over the years, and we are proud that our model continues to flourish in other organizations. E.V.O.O.A. has been successfully dedicated to uniting collectors and enthusisast, regardless of affiliation, for the purpose of collecting, preservation, and enjoyment of vintage and retired emergency vehicles. E.V.O.O.A. had provided a venue for fellowship and an exchange of ideas among our supporters and friends, and seeks to share information regarding our hobby. Restorations and display of emergency vehicles will be conducted respectfully and responsibly. Misuse or inappropriate use of vehicles or equipment will not be tolerated. E.V.O.O.A. has worked collaboratively with law enforcement agencies nationally for many years and enjoys a partnership with many. Ownership of an emergency vehicle is not necessary in order for you to be a part of our Association. Our supporters and friends are expected to be respectful of the hobby and the respective profession they represent, adhering to all appropriate laws and statutes, promote fellowship, and be especially respectful of the agencies they may be representing. It is expected that all will notify the respective agency they are representing of their restoration, or vehicle/equipment ownership, and to have some documentation, where possible, from the respective department acknowledging the restoration/representation. This association is NOT a venue for private ownership of emergency vehicles or equipment for personal purposes, impersonation of officials, or any manner which deminishes the hobby, collectors, and the public safety profession. Owners of newer vehicles are discouraged from mounting emergency equipment on a permanent basis if vehicle is to be used as a daily driver. With this experience, E.V.O.O.A. is now working on a partnership with a bigger organization with a broader scope and reach. This is proving to be a fun project once it is in place. E.V.O.O.A. has partnered with a variety of First Responder agencies to assist them in the Cops and Kids events and other events. With over 20 years of experience, E.V.O.O.A. can help you deliver. The Code of Conduct can be found here http://www.evooa.org/code.htm Don't be fooled by organizations that do not have a strong code of conduct. Copyright © 1996, 2016, designed by E.V.O.O.A.